A genetic variant that protects the heart against cardiovascular disease has been discovered by researchers at the Wellcome Trust Sanger Institute and their collaborators. Reported today in Nature Communications, the cardioprotective variant was found in an isolated Greek population, who are known to live long and healthy lives despite having a diet rich in animal fat. In Mylopotamos, northern Crete the population are unusual as they have a diet that is rich in animal fat and should cause health complications, yet they have good health and live to an old age. In an attempt to solve the puzzle, scientists made a genetic portrait of the population by sequencing the entire genome of 250 individuals to get an in-depth view. This was the first time Mylopotamos villagers had their whole genome sequenced. The team then used the results to give a more detailed view of approximately 3,200 people for whom previous genetic information was known. Scientists discovered a new genetic variant that was not previously known to have cardioprotective qualities. The variant, rs145556679*, was associated with lower levels of both 'bad' natural fats - triglycerides - and 'bad' cholesterol - very low density lipoprotein cholesterol (VLDL). These factors lower the risk of cardiovascular disease. The cardioprotective variant may be almost unique to the Mylopotamos population. The genome sequencing results of a few thousand Europeans has only revealed one copy of this variant in a single individual in Tuscany, Italy. A separate variant in the same gene has also been found to be associated with lower levels of triglycerides in the Amish founder population in the United States. Lorraine Southam, joint first author from the Wellcome Trust Sanger Institute, said: "By studying isolated populations, we are able to identify those genetic variants that are at a higher frequency compared to cosmopolitan populations and this in turn increases our power to detect if these variants are disease causing. With isolated populations, we can get a unique view into rare genetic variants that play important roles in complex human diseases." The combination of genetic data from isolated populations presented statistical complications due to the relatedness of individuals. In this study, scientists designed new software called METACARPA to address these statistical challenges. Arthur Gilly, joint first author from the Wellcome Trust Sanger Institute, said: "METACARPA was specifically designed to work well on shared data. This new software is able to utilise summary data to detect relatedness of individuals or even overlap of data sets and account for it, therefore making the study more robust." The team also studied an isolated population from mountainous villages in the Pomak region of northern Greece. Scientists studied the genetics of 1700 people in the population. They discovered four separate genetic variants that affect diastolic blood pressure, fasting glucose levels, white blood cell count and haemoglobin levels. Lead author, Professor Eleftheria Zeggini from the Wellcome Trust Sanger Institute said: "This study shows the importance of looking at the entire genome to better understand the genetic architecture of a population. We are finding new genetic variants we haven't seen before. 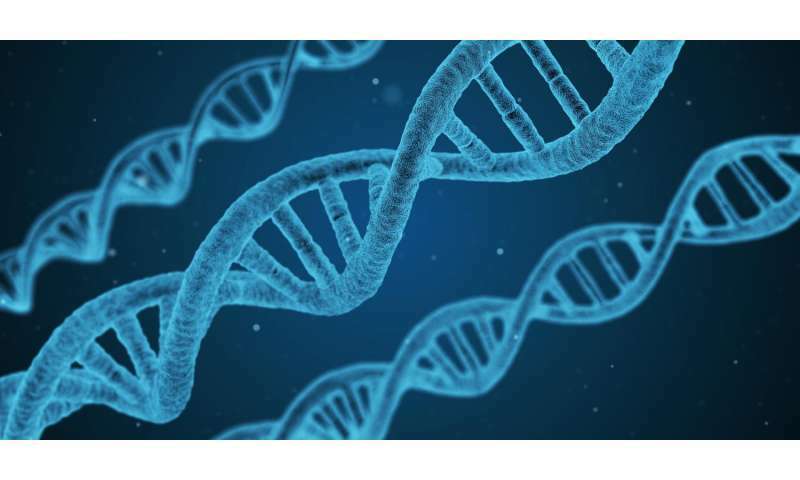 We have discovered a medically relevant genetic variant for traits related to cardiovascular disease, the most common cause of death worldwide."